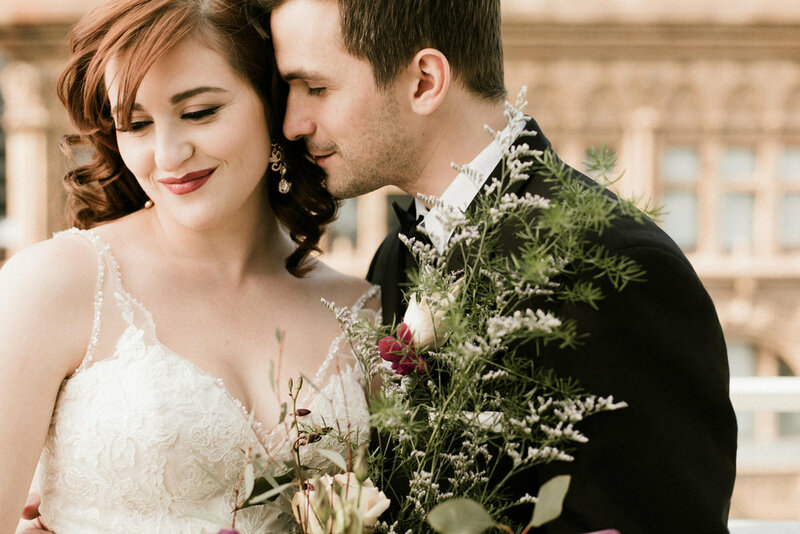 This styled wedding shoot was inspired by the old Hollywood glam of the Arc dorm building at Columbia College Chicago where Alex and Joe met. 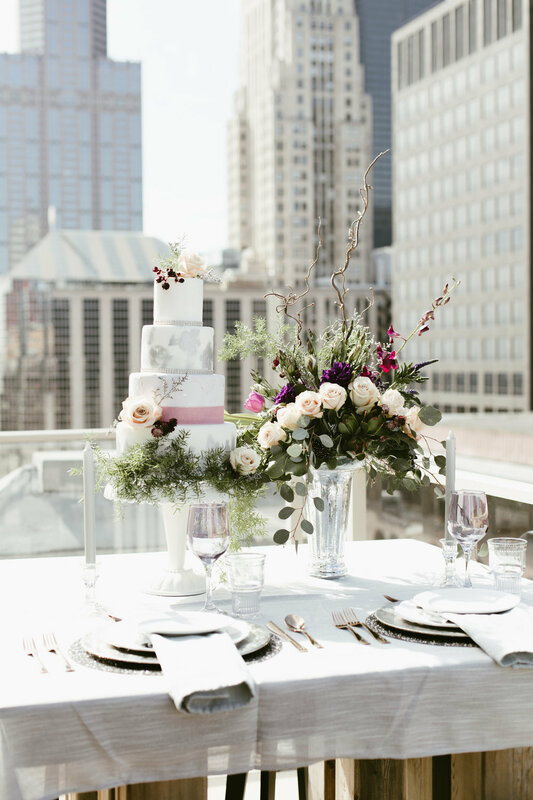 Keep scrolling for gorgeous florals, incredible architecture, and stunning rooftop views! 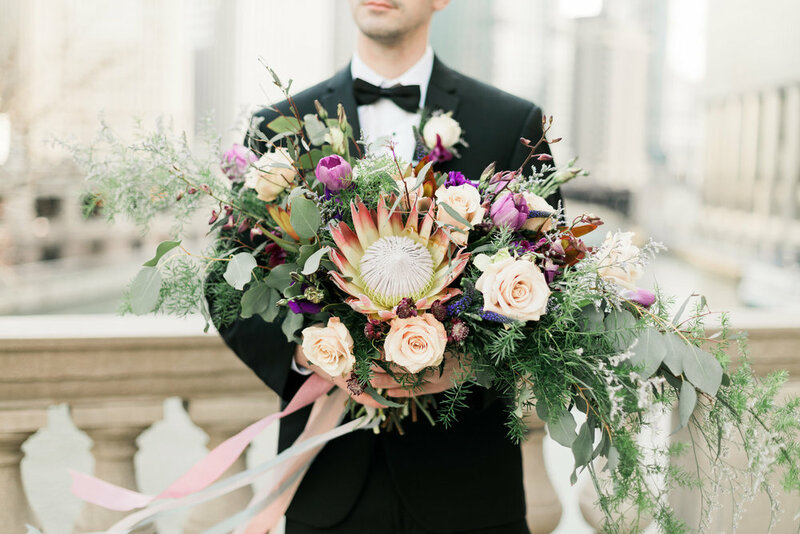 A lavender and deep purple color palette complimented the cool tones of the Chicago skyline, while the vintage hair and pop of a classic red lip completed the couples look. The couple went on a romantic whirlwind tour of the city that brought them to some of their favorite spots to steal away for an intimate moment.